New research from UK communications firm Ofcom has found that young gamers are increasingly playing online. The Media Use and Attitudes Report 2018 found that of five-to-15-year-olds who gamed, around a third were spending their time gaming online. The likelihood increases with age, peaking at 87 per cent of the 12-15 group gaming online. The report found three in five of the 12-to-15 age group were communicating to others through in-game communication tools and were over twice as likely to do so with people they knew outside the game. Sticking to the same age group, the report found boys were spending more time gaming than girls by roughly seven hours, with an average of 16 hours 42 minutes and 9 hours 18 minutes respectively. 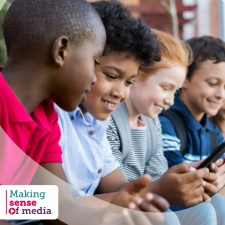 Elsewhere, the report claims that parents of five-to-15-year-olds are increasingly concerned about internet use, with a decrease from two-thirds to just over a half agreeing that the benefits of internet access outweigh the risks. Despite this, a little over six in ten 12 to 15-year-olds believed they had found a good balance between screen time and other activities.